YOU ARE THE MOST DEMANDING PASSENGER, WE ARE CAPITAL JETS. Spare the moment to experience the best of what life can offer us. Treasure every minute of your time and be satisfied with nothing less than perfect. Impossible is nothing. The client is always right. Whatever you wish for, we make it happen. Travelling by a private jet is not just a pleasure. It is a way of life. 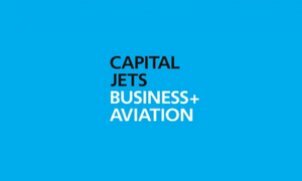 CAPITAL JETS offers a truly unique range of services that makes your wildest dreams come true. A modern fleet of aircraft, along with established relations with all major European and Russian operators ensure that you will have the aircraft you want, where you want it and at the time you specify. Be it a charter flight, a custom-made aircraft operation solution or an assistance in purchasing your own aircraft, we always aim to be your preferred link between the earth and the skies.